This system allows you to send personal emails to every registered merit badge counselor that doesn’t have a profile already setup. ScoutCommunity.com gets the data from ScoutNET, so you can know you have the most up to date information. 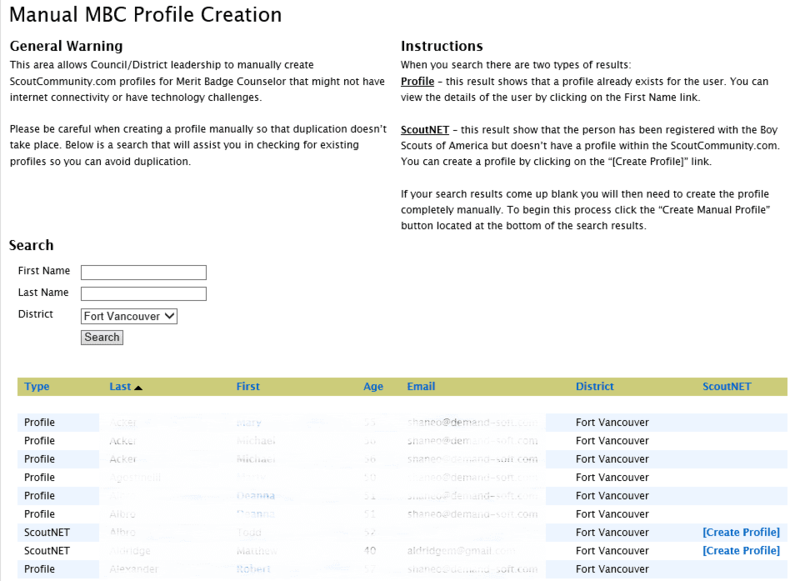 This allows the district/council to create a profile within the system on behalf of the MBC. This can help with counselor that do not have internet access or have a hard time with technology. 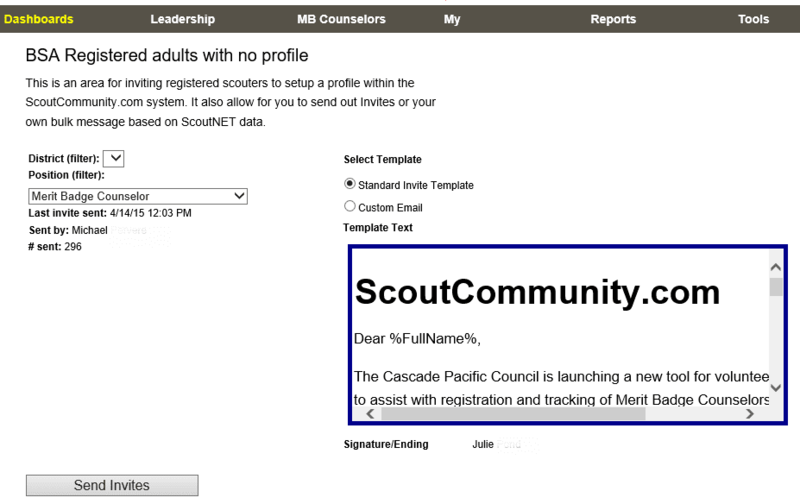 ​A profile can be create fully by hand or based on an already registered counselor’s ScoutNET data. Also later if the user wants to take ownership of their profile, they can with one simple click. According to the National Guide to Advancement 2015, councils/districts are responsible for approving every merit badge that a counselor wants to mentor for. 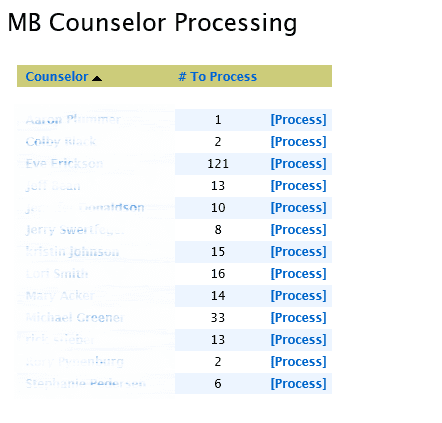 This area show a list of BSA registered counselors that have requested new merit badges to mentor for and are seeking for approval from the council/district. Only council/district level users with permission to process MBC are authorized for this area. ​Simple select the counselor to view the requested merit badges. Then choose to approve, request more information, or not approve the badge and click save. 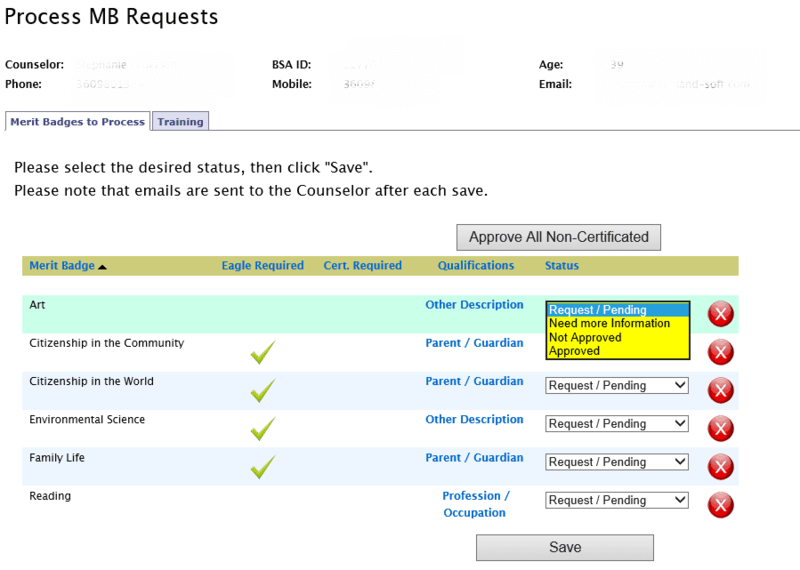 The system automatically sends an email to the counselor detailing all decisions made. 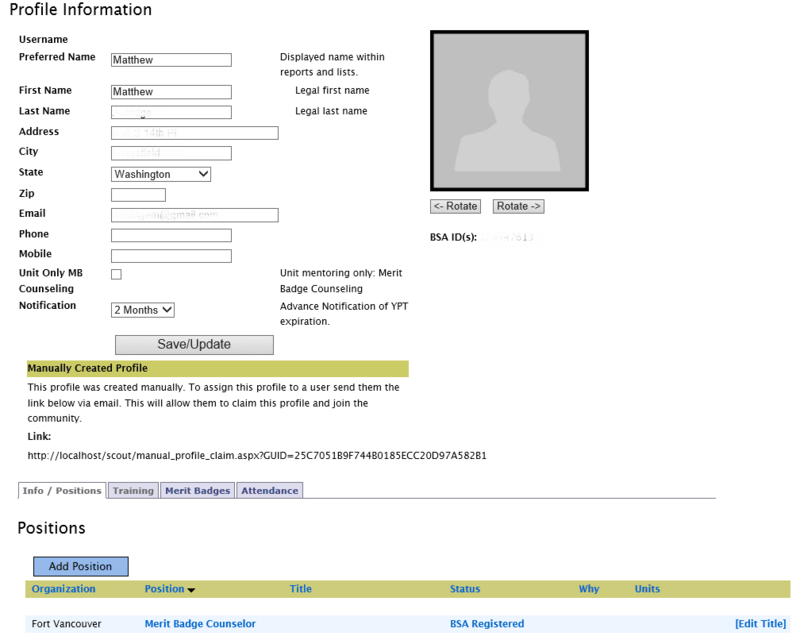 This is a dashboard page that will help in monitoring and tracking down issues with merit badge counselors.